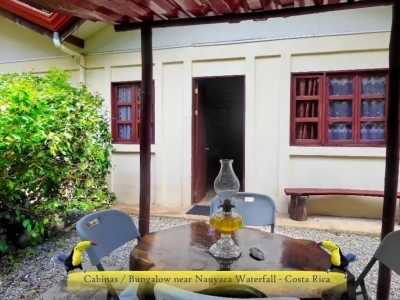 TWO BEDROOM BUNGALOW IN A BEAUTIFUL GARDEN WITH COVERED OUTDOOR DINING!!! 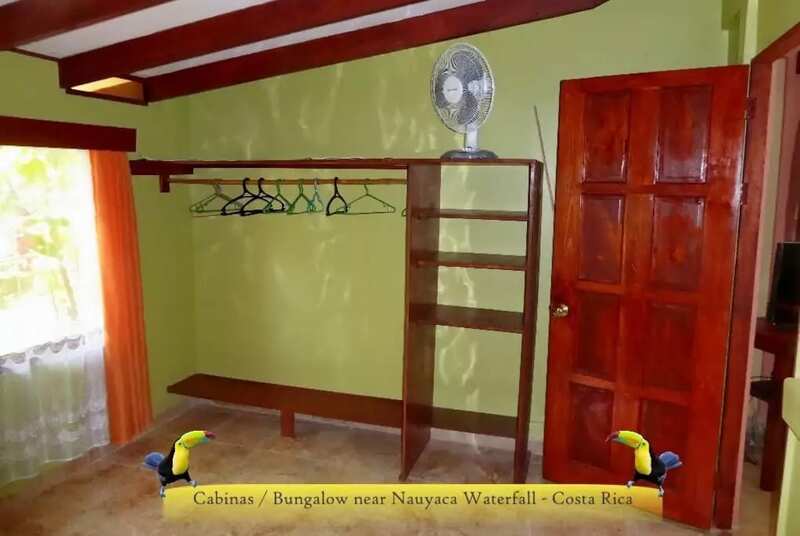 This is a cute two bedroom, one bathroom bungalow located in Platanillo on a beautifully landscaped property with gated access. 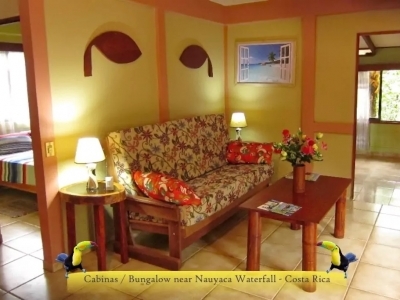 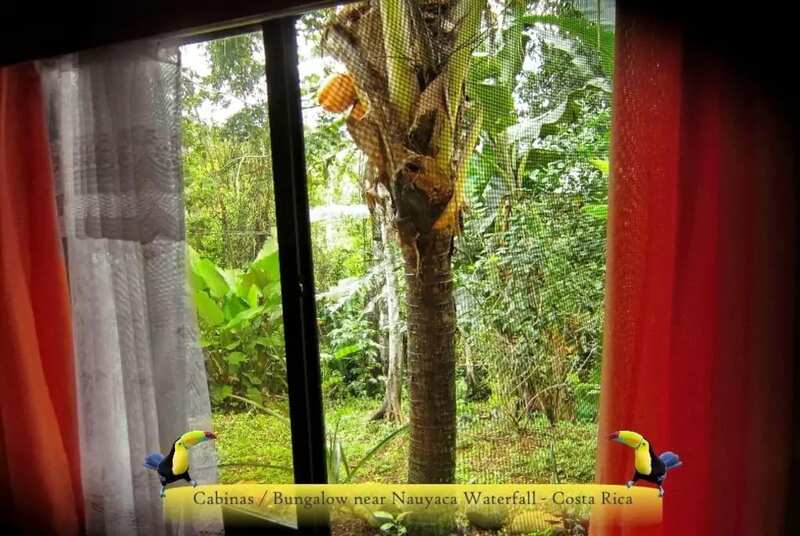 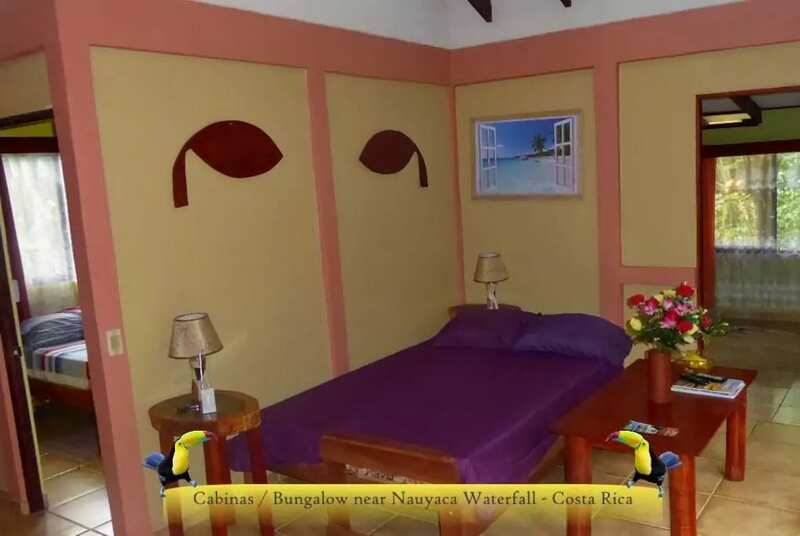 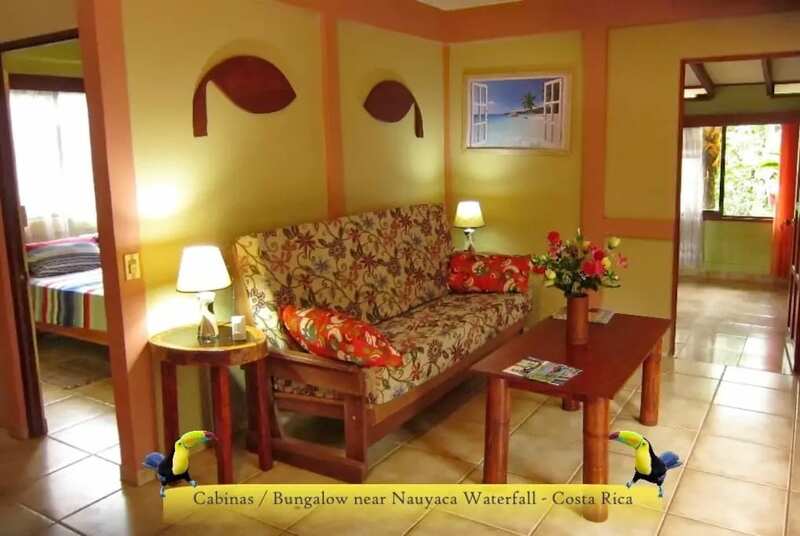 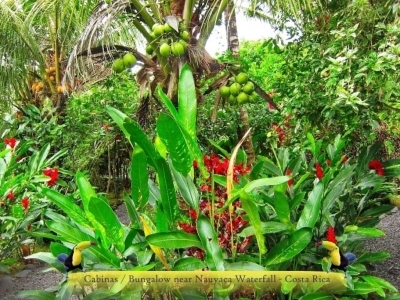 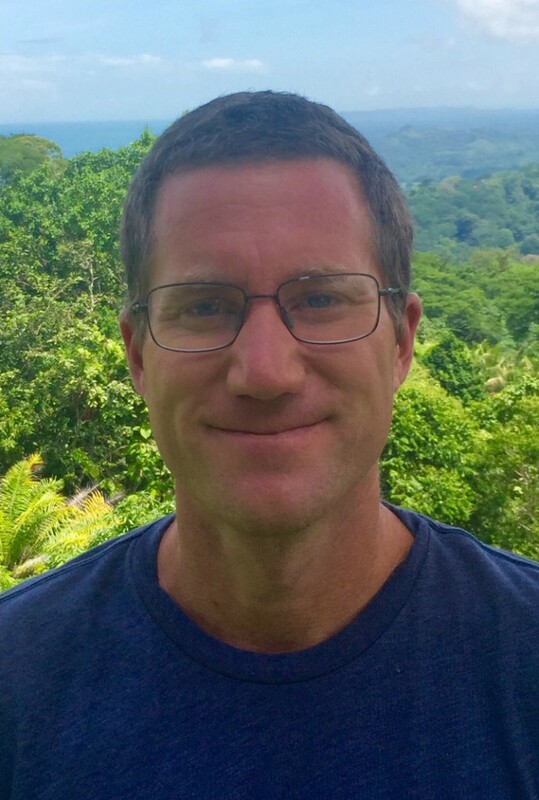 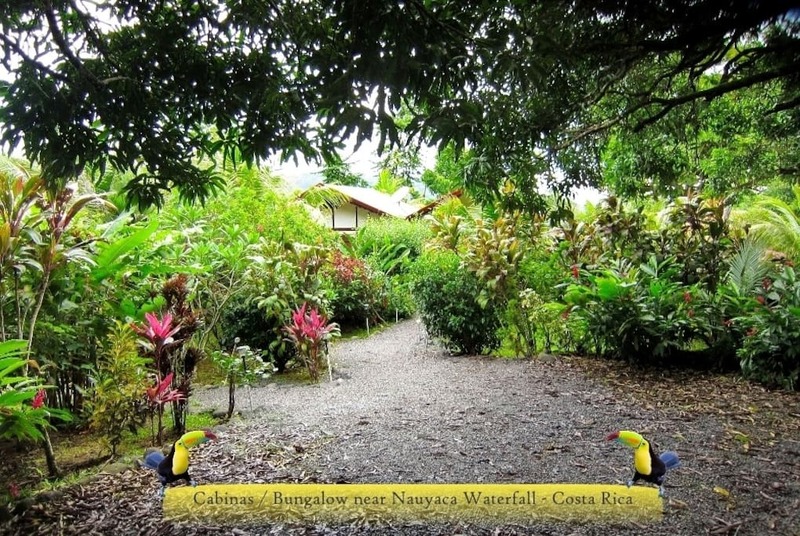 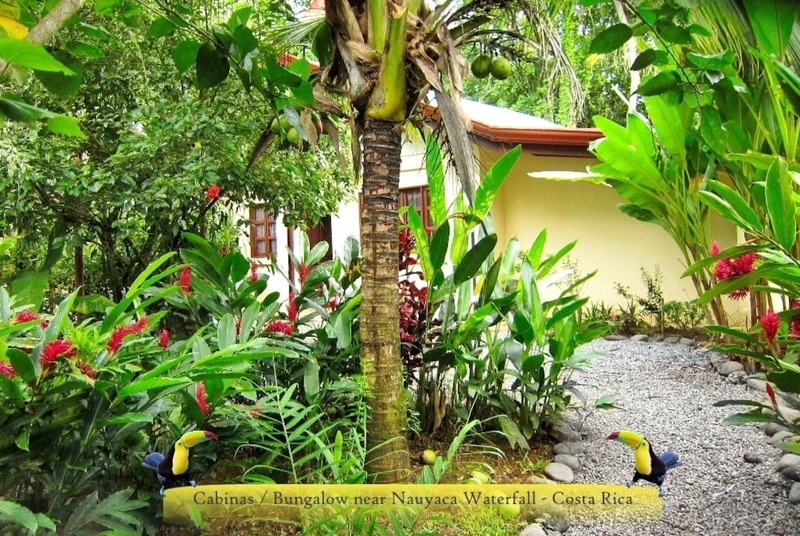 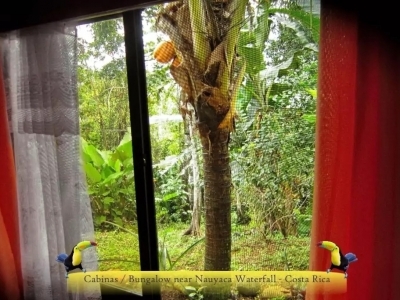 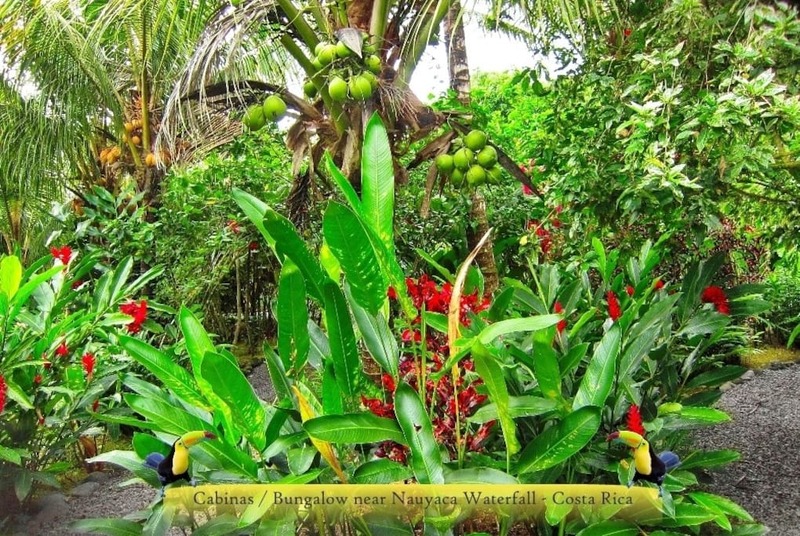 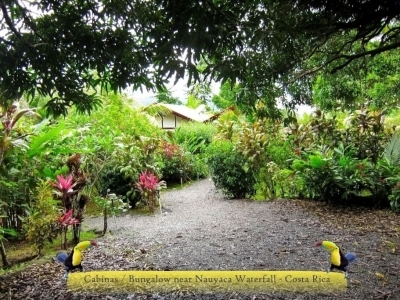 It is surrounded by a beautiful garden where you will frequently see toucans and hummingbirds. 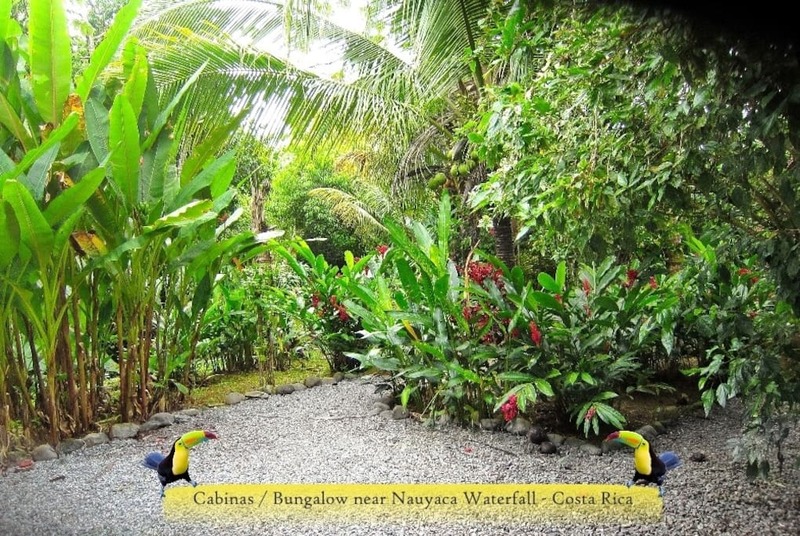 On the property there are 4 bungalows, each with parking and private entrance. 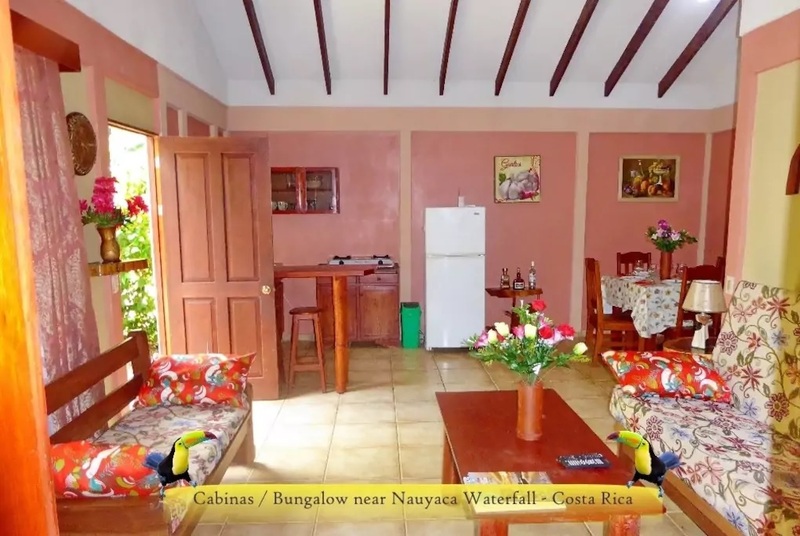 The bungalow was built in 2017 and has a usable area of 65m2. 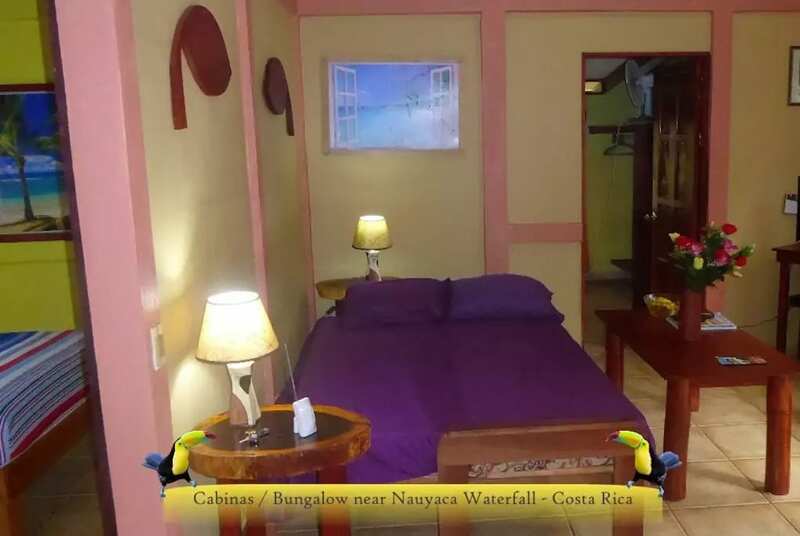 Bedroom one has a king bed and bedroom two has a double bed, and there is also a futon in the living room that folds into a third bed. 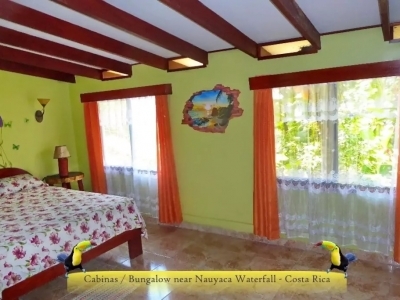 Each bedroom has a ceiling fan, which is sufficient to keep you cool at night since the bungalow is located at 300m elevation. 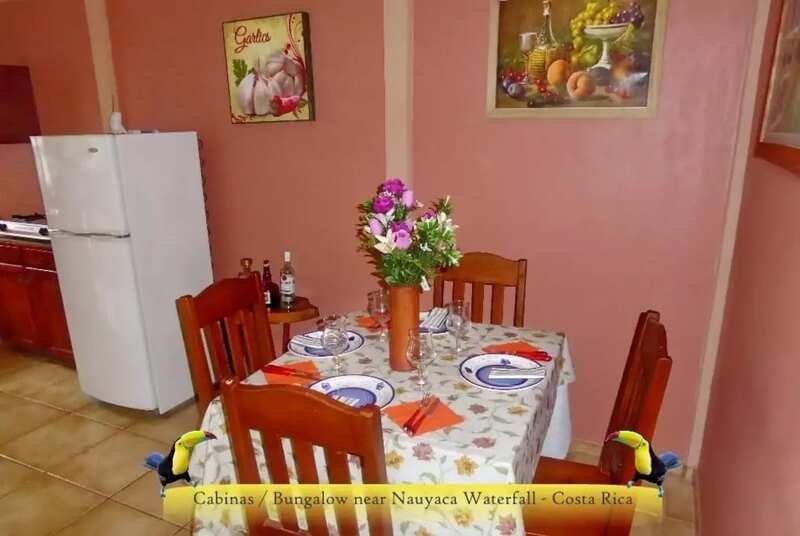 The kitchen has a two-burner cooktop, all the necessary household appliances, and hot water. 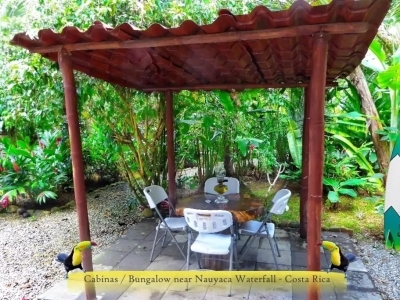 Outside the bungalow is a private, covered dining area, which is a perfect place to enjoy the garden and the surrounding mountains. 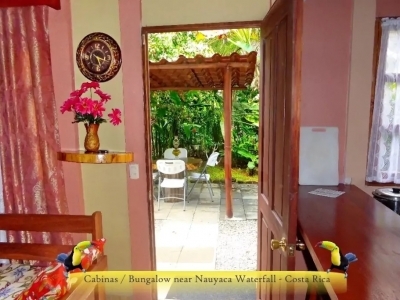 The bungalow also has a washing machine and there is a shared BBQ area on the property. 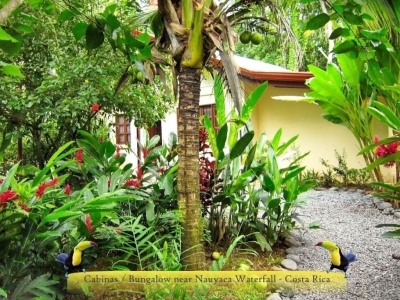 Access to the bungalow is directly off the paved road about 2 kms from Platanillo. 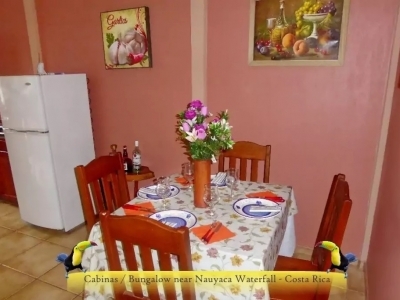 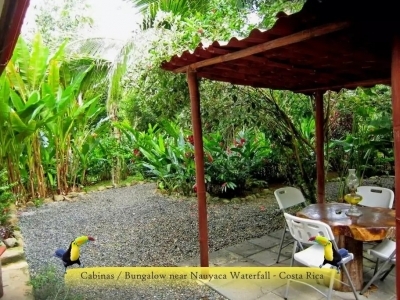 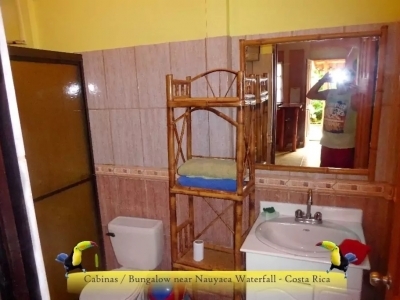 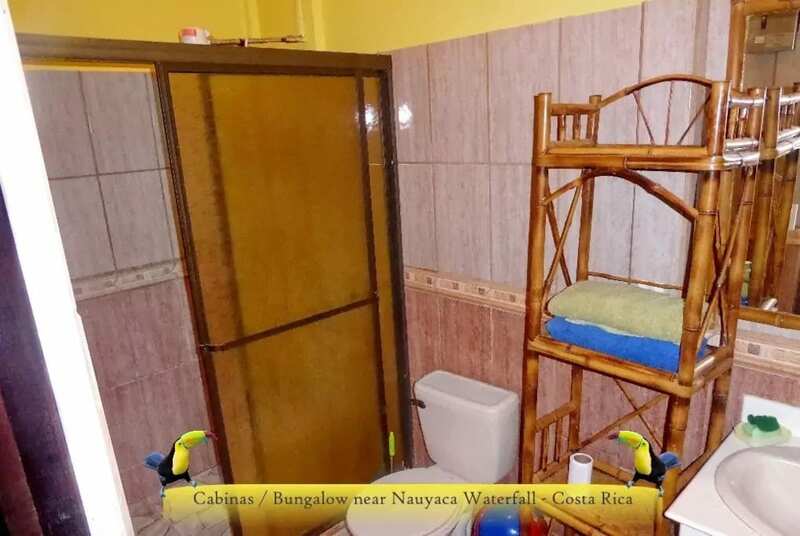 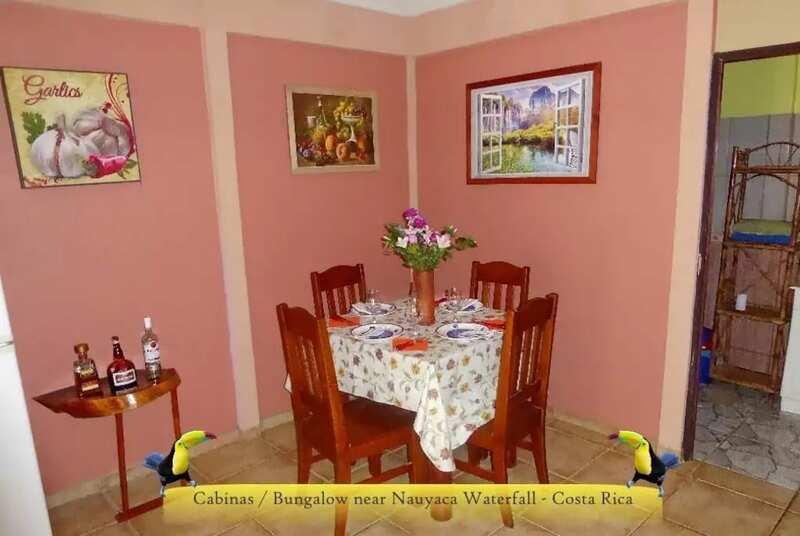 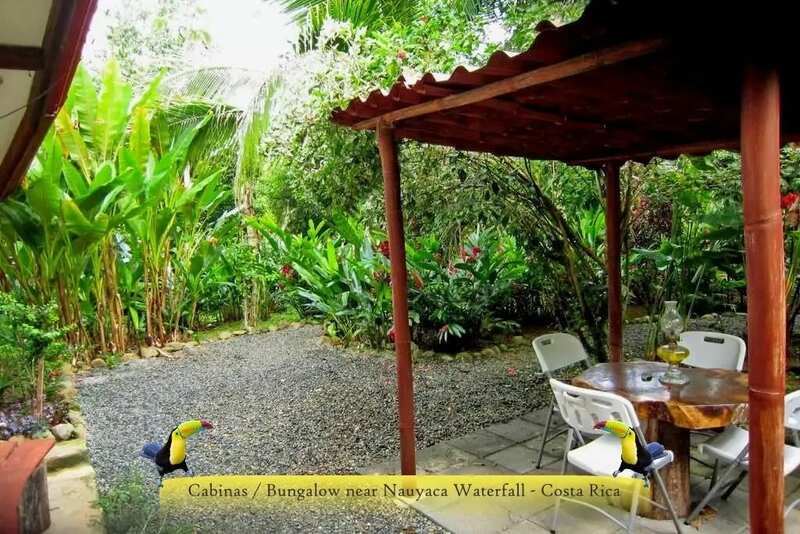 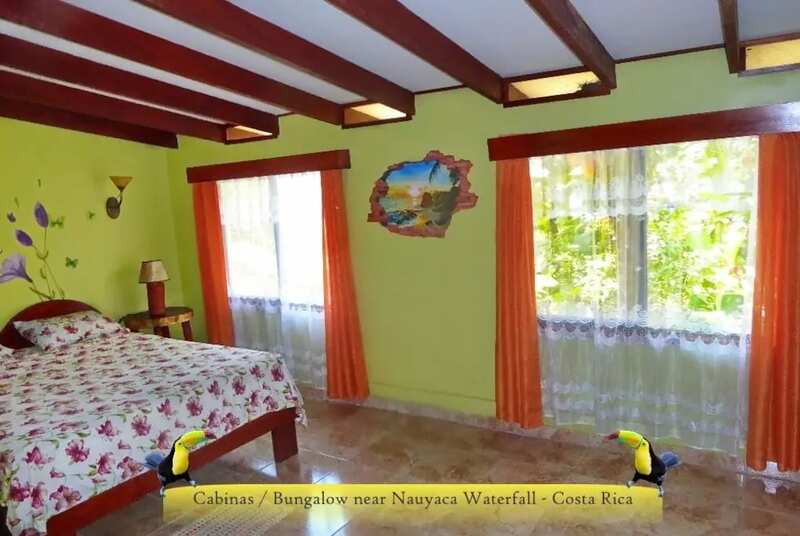 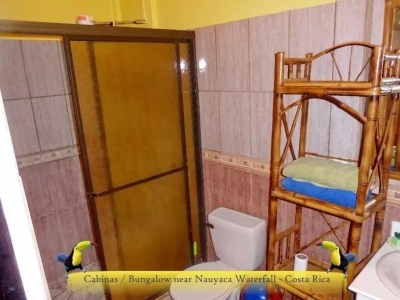 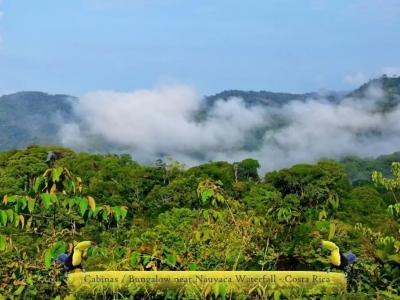 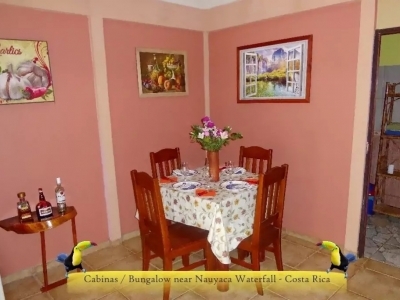 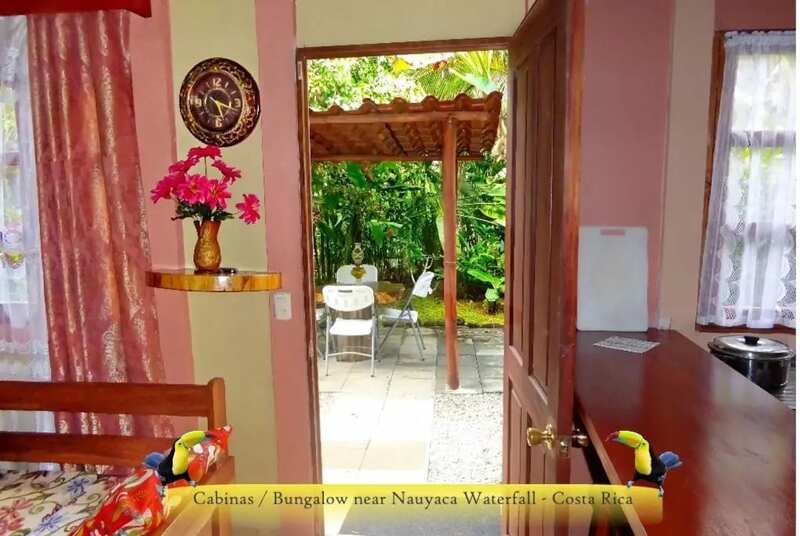 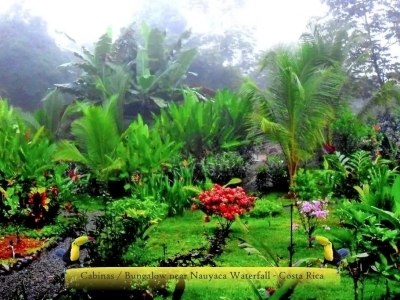 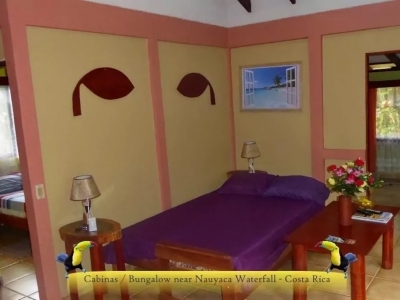 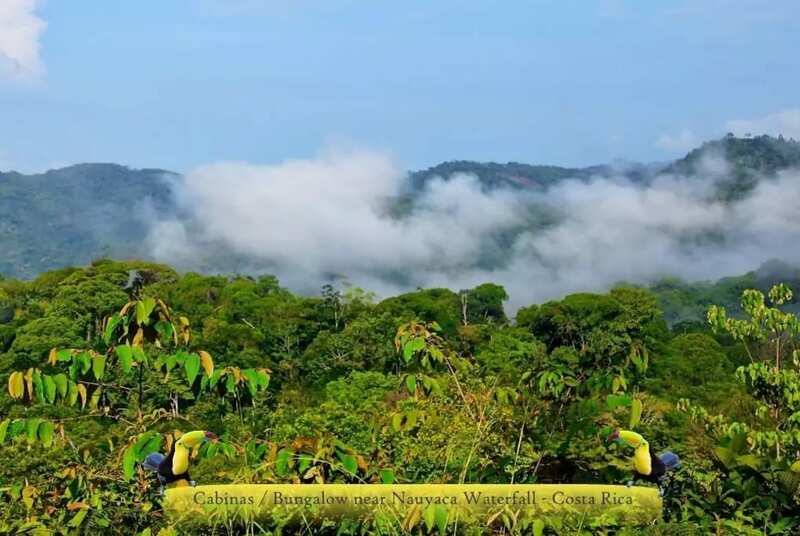 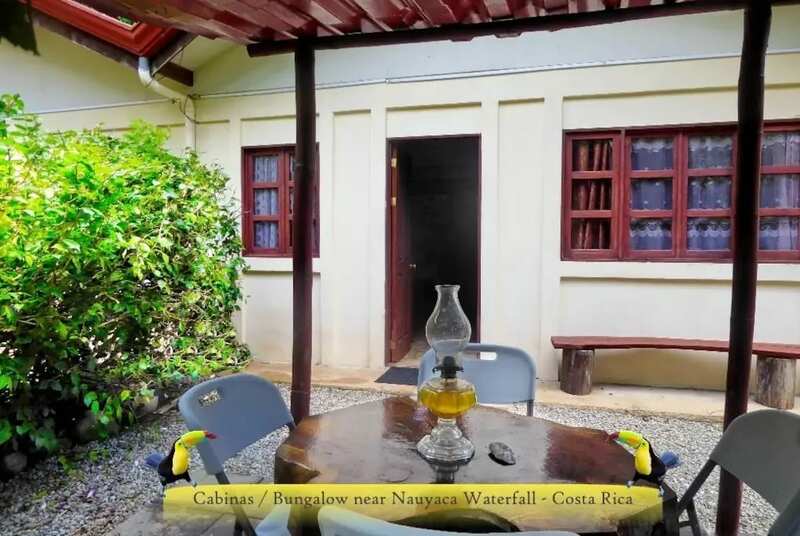 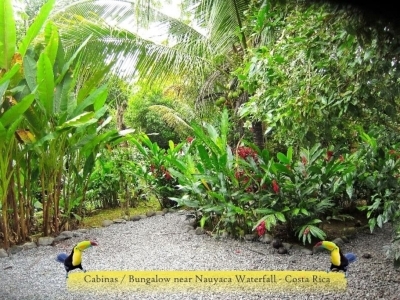 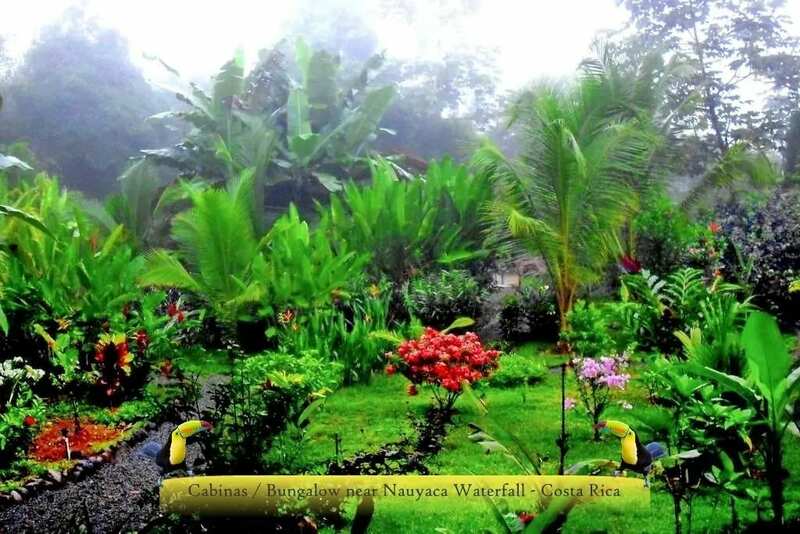 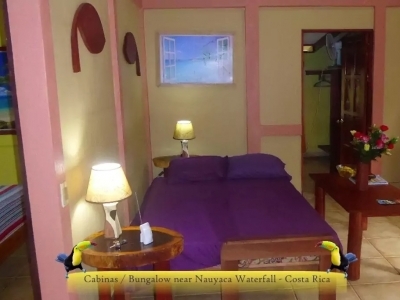 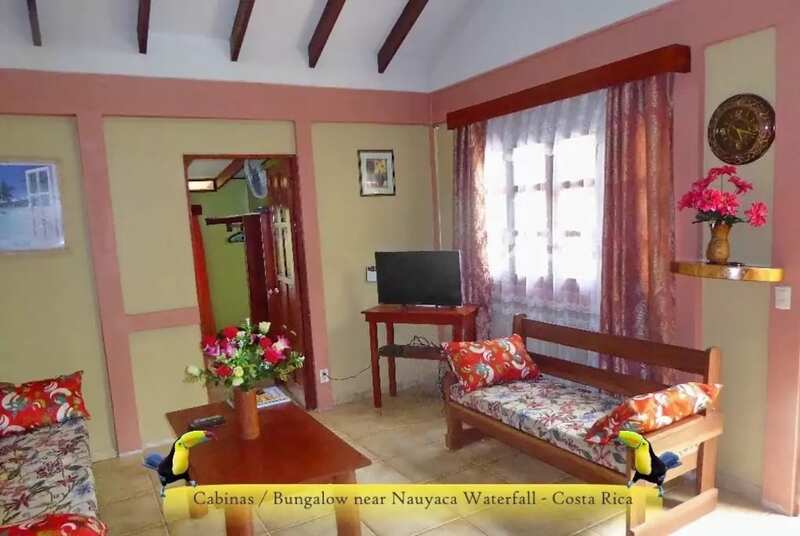 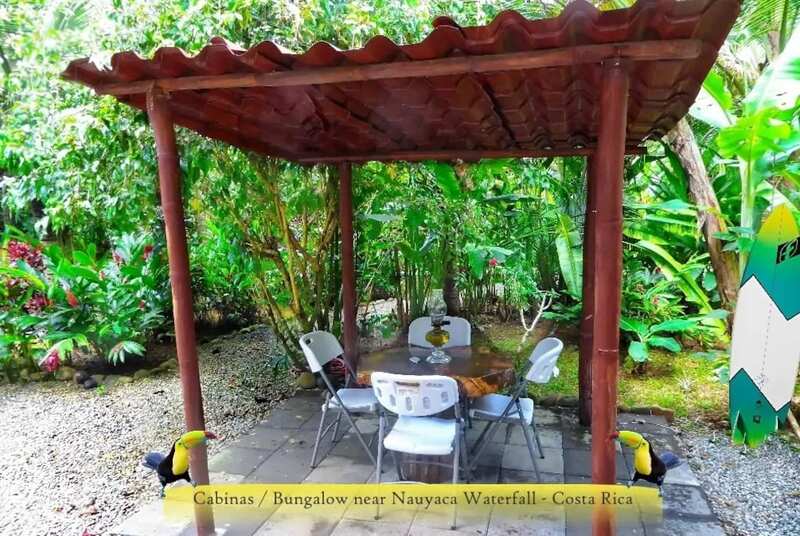 This is an excellent location, close to Nauyaca Waterfall and only 4km from Dominical Beach. 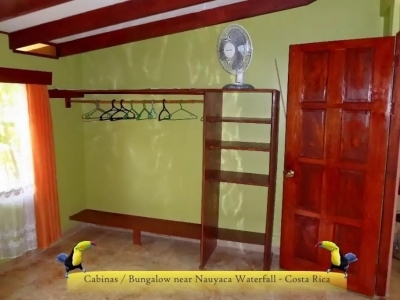 If you don’t have a car, the bus stop is only a three minute walk from the bungalow, and next to the bus stop is a small store where you can buy basic food items. 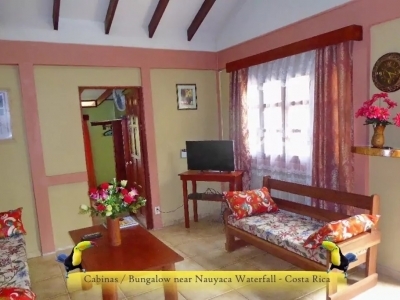 The bungalow also offers wifi and satellite TV. 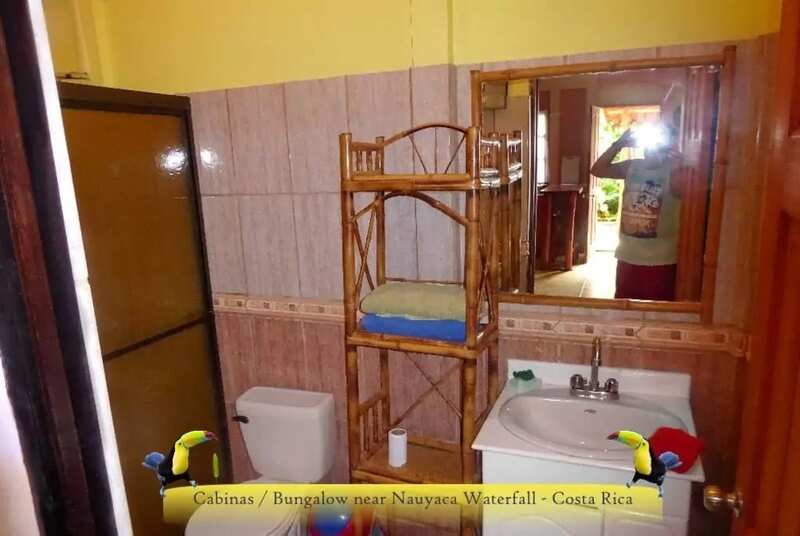 No pets or children, please.